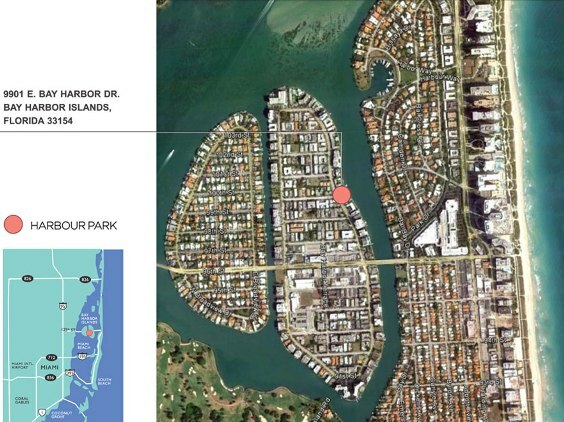 Market Snapshot for Harbour Park, Condo/Villa/Townhouses, residential community in Bay Harbor Islands, Florida. Harbour Park Condo/Villa/Townhouses is located at 9901 Bay Harbor Dr, Bay Harbor Islands, Florida, 33154. This residential community was built in year (N/A) and currently offering (5) Condo/Villa/Townhouses for sale in Harbour Park, with price ranges from $440,000 to $3,500,000. Whether you are looking for most up-to-date Harbour Park, Condo/Villa/Townhouses, residential community or another luxury development in Bay Harbor Islands, Florida to Buy or to Sell, our website will provide you with the most up-to-date luxury homes and condos for sale in the city of Bay Harbor Islands. Waterfront Harbour Park community nestled in a beautiful island setting. 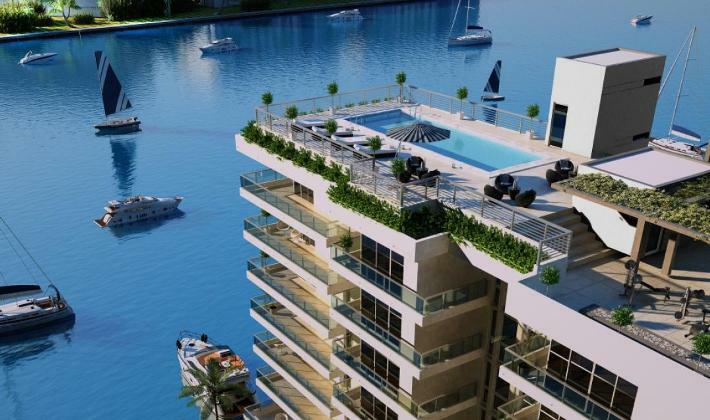 Located in the quiet Town of Bay Harbor Islands, this is 20 residence condominium will offer a new and vibrant lifestyle emphasinzing exclusiity and privacy. 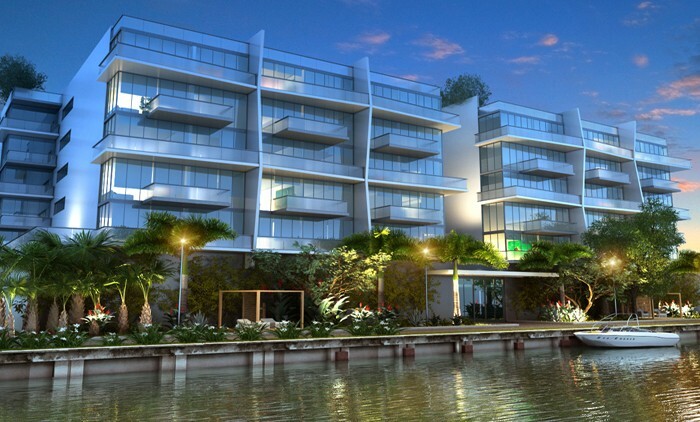 At Harbour Park you will rejoice in the casual elegance of its contemporary architecture stroll in the waterfront living is all about at its private marina. Bay Harbor Islands is a town in Miami Dade Country, Florida, United States. It consists of two islands. The west islands contains exclusively single family homes and the east island contains a business district and multi- family housing. It is separated from the mainland by Biscayne Bay, with which it is connected via the Broad Causeway. On the mainland side, Bay Harbor Islands is bordered by the city of North Miami, while to the east it borders the villages of Bal Harbour and Surfside. To the south lies the exclusive Indian Creek island. Bay Harbor Islands is about 20 minutes driving distance away from Miami International Airport, and is situated between the larger centers of Aventura and Miami Beach. Exclusive and tranquil Bay Harbour Islands Community. Retail shops including fine foods, florists and beaty salons. Medical and others professional offices on Kane Concourse. Walking distance to the Bal Harbor Shops. Walking distance to the beach. Ruth K Broad Elementary School at walking distance. 30 minutes from Miami & Ft. Lauderdale International Airports. Close to Aventura Mall shopping area and enchanting South Beach. The Village of Bay Harbour is a unique enclave od sophisticated elegance that has, in large part, been defined by one of the most exclusive fashion - shopping destinations in the word - Bal Harbour Shops. Canceived as a venue for internationally renowned brands to shoecase their creations, for more than 45 years. Bal Harbour Shops has also been a social gathering place for residents of ths Village. Elegant contemporary tower design with only three units per floor. Palm entry court and two-story atrium lobby. Security entry system & built-in surveillance monitors. Two parking garage spaces available per unit + storage room. Secured parking garage on two levels. Two parking spaces available per units + storage room. Direct garage access to boat slips and waterfront promenade. Landscape waterfront promenade with tropical garden. Private boat dock (5 slips). Key-locked elevators (2) with owner controlled access. 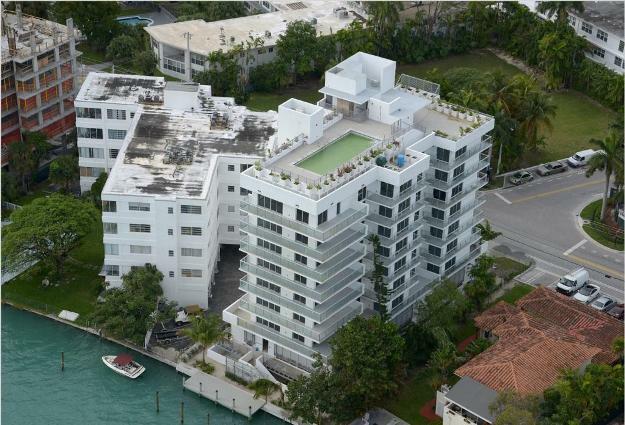 Panoramic views of Miami "Bal Habour" intracoastal waterway and the Atlantic Ocean. Floor to ceiling sliding glass doors in living spaces. High efficiency A/C heating units individually controlled. Individual laundry rooms with stackable washer dryer and storage. Pre wired outlets for telephone, Internet, cable TV and security alarm system. White glass floor in units. Elegant designer plumbing fixtures, mirrors & bathroom accesories options. European designer open kitchen with quartz top serving counter to great room. Choice of wood panel cabinets or lacquered finishes. 45 foot heated swimming pool with spacious sun deck. Men and Women bath rooms.